Lucidity allows yogis to turn our dream playground into reality. 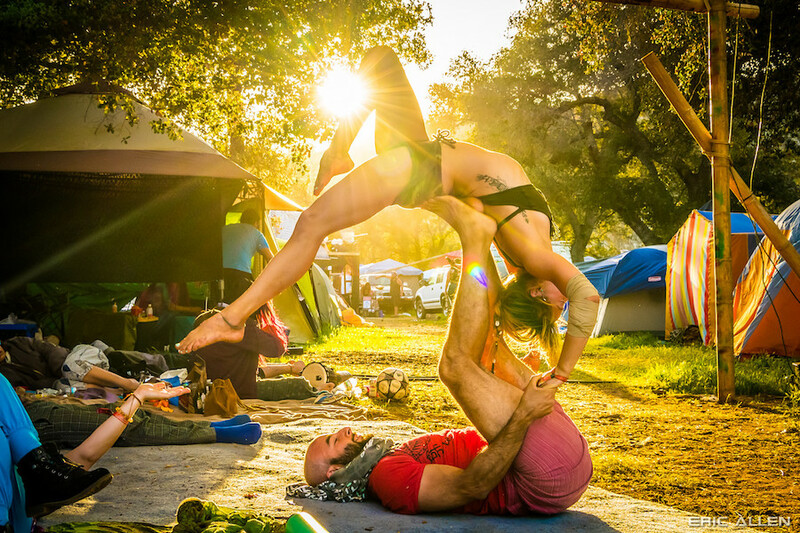 A thoughtful practice offers a plethora of opportunities to learn more about one’s physical embodiment with movement styles ranging from AcroYoga to Ecstatic Dance. Workshop instructors travel from far distances to spread personalized messages, adding their own unique layer to students’ Lucidity takeaway. 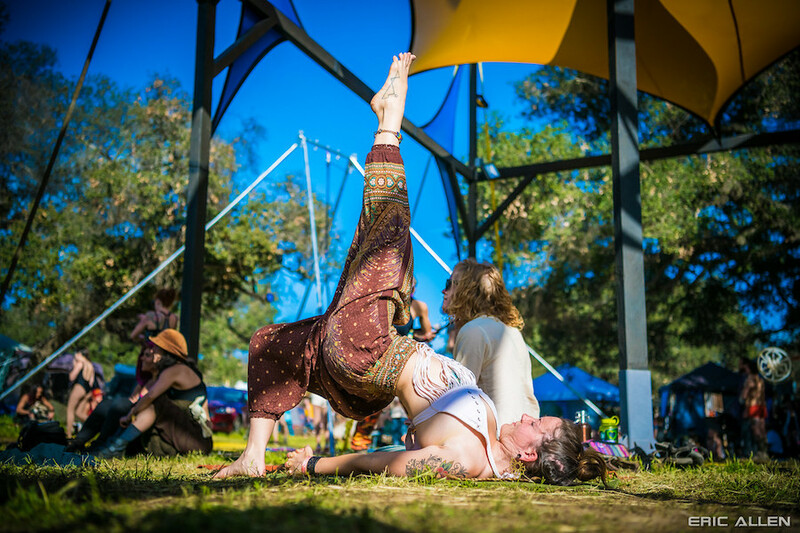 Out of respect for their dedication and wisdom, all festival-goers should take advantage of the free movement workshops that are scheduled throughout the weekend. One of the hardest aspects of the practice of yoga is simply meeting the mat. Sometimes we’re feeling sore or unmotivated– and this is especially true when camping at camping festivals. To some attendees, hanging upside down in a forward fold sounds like the least appealing activity when the sun creeps in your tent for a 6 a.m. wake up call. 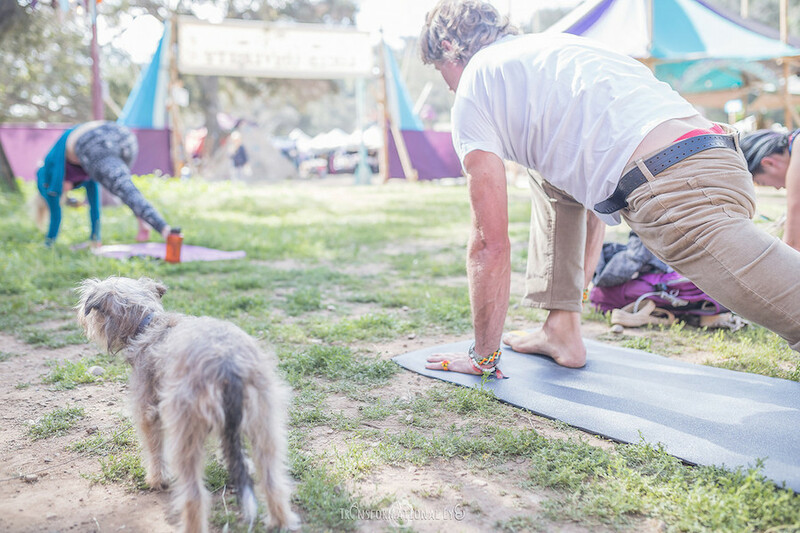 To others, there’s nothing comparable to the feeling of a morning outdoor flow or getting downward next to your dog. Finding yourself deeply rooted into a pose is the perfect remedy to combat post-dancing soreness, and there’s something beautifully grounding about flowing with a direct feet-to-earth connection. These classes, however, are more than just a game of spiritual gymnastics. They help subconsciously build up a greater good within the soul. Traditional yoga revolves around a code of ethics: yamas and niyamas. These virtues were introduced in the original Yoga Sutra, a philosophical collection of texts dating back to BCE and fifth century CE. Yamas and niyamas build the structure of a yogi’s mindset. These are the blueprint to a life at ease, founded upon principles of enlightened observances. Yamas are the ‘don’ts’ in yogic lifestyle that aim to manifest overall efficiency. They’re self-restraints from habits that cloud the mind with negative instincts. These guidelines are especially important to be mindful of in order to make a festival experience run smoothly. Here’s some more depth on the philosophy and ways to incorporate yamas into your Lucidity weekend, if not life in general. This goes beyond physical altercations; violence can take place in the mind just as well. Cognitive violence can have serious, long-lasting repercussions on those subjected to it. Ahimsa is a key ethic that represents compassion. It’s the capability of steering away from harmful thoughts about oneself and others. Whether you’re being self-critical or subconsciously judging someone else’s decisions, there’s an underlying act of mental violence there that are bound to build up over time. Applying Ahimsa stands for regulating the ego and staying in touch with the spirit. It’s the idea of a mindset laced with love and positivity. It’s said that satya is the language of observation. This sense of truthfulness is gained through observing the outside world in an honest perspective. Honesty towards other people strengthens relationships, but it’s essential for one to be honest with themselves for emotional success. Transparency when expressing true intentions generates a clear, happy mind. At the festival, be honest about what activities you’re comfortable divulging into. Don’t follow the crowd, make the weekend yours. There are sure to be fellow honest-minded individuals to connect with who share common interests and intentions. Any demands for perfection are forms of theft from the present moment. In this philosophy, non-stealing is a way of settling into acceptance. Predetermined expectations are dangerous, so respect the universe’s process of naturally unfolding for the sake of personal sanity. Sometimes things don’t go as planned, but don’t let that carry away from the divinity surrounding the here-and-now. In certain eastern traditions Brahmacharya is interpreted as celibacy. Whether this principle suits your lifestyle is entirely a personal decision, but an excess of anything in this world is unhealthy. Know your own limits at events, whether that be in regards to partying or physical activity. It’s beautiful to stretch the barriers of your comfort zone, but be aware when growth is soured by pushing boundaries too far. Open up and give back to the world! Festivals are a time to unify in celebration of being a part of something bigger than oneself. Some of my favorite event memories started with inviting campsite neighbors over to share a drink or bite to eat. Letting go of a selfish mindset opens doors to connect with others and leave a mark on someone else’s weekend. You never know someone else’s life story, or how much of an impact sharing can have on their day. A little bit of kindness and generosity goes a long way. In our next post, we’ll discuss the way niyamas are served as ‘do’s’ along a yogi’s mental journey. 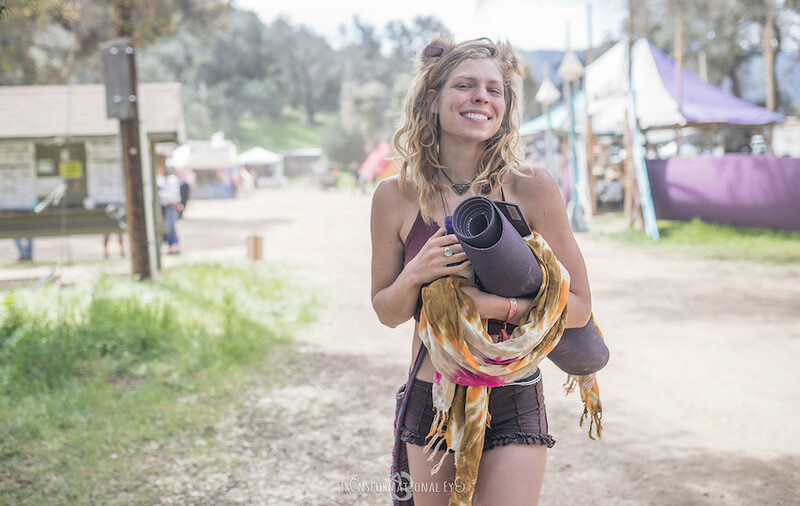 Learn more about all the yoga offerings at Lucidity or how to get involved and lead a workshop! Grab your tickets right here!